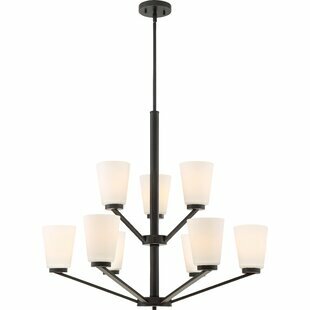 This sophisticated nine-light chandelier is crafted from metal and showcases clean-lined arms and a two-tiered design. 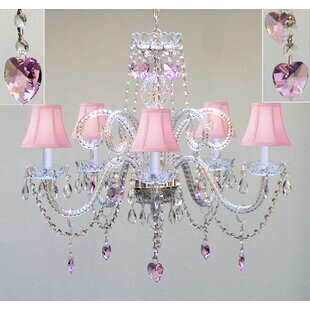 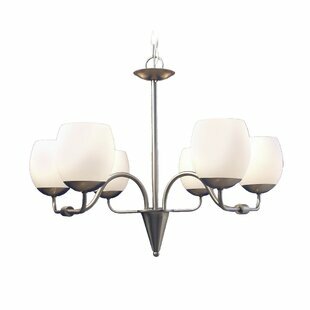 Each shade is crafted from frosted glass and is equipped to be outfitted with a 100-watt bulb. 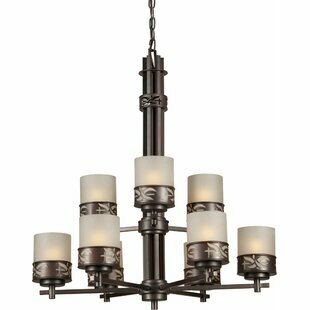 A solid metallic finish rounds out this chandeliers color palette in a shimmering look. 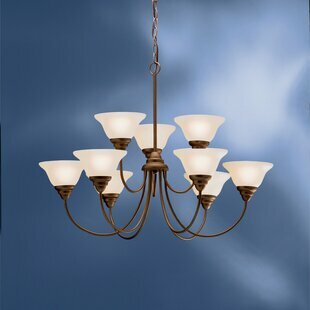 With its adjustable rod, this chandelier can be suspended for a maximum of 66.88". 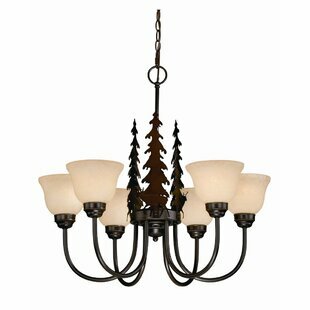 Angular and intriguing, this chandelier adds a great touch to your space. 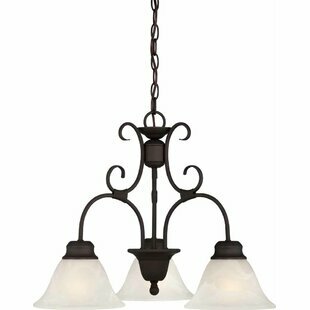 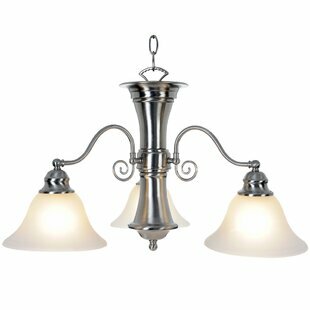 Number of Lights: 9 Fixture Design: Shaded Chandelier Adjustable Hanging Length: Yes Fixture: 28.88 H x 31 W x 31 D Overall Weight: 29.43lb.